Wizard World 2019 gave The Scariest Things an opportunity to meet some of our Oregon sibling horror organizations, and in this interview we got a chance to sit and talk with Lee Despain of the Dread Fright & Brew Podcast and Brandy Dixon of The Theatre of Horrors cosplay for charity organization. 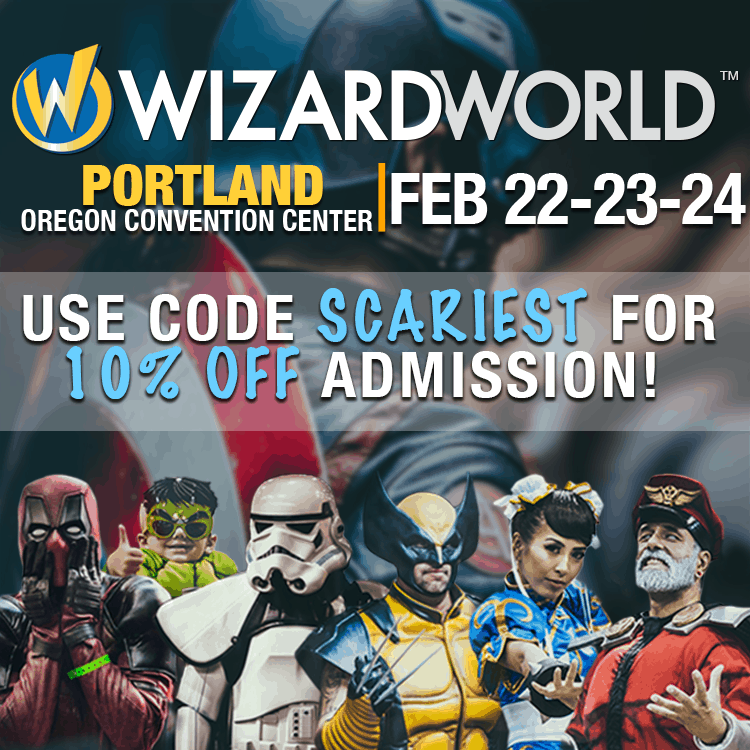 Scariest Things News: Wizard World Portland Update! Our big public event approaches, and there’s lots of cool news announcements surrounding it. Two days and counting until the fun begins. Check out what new news we’ve got!